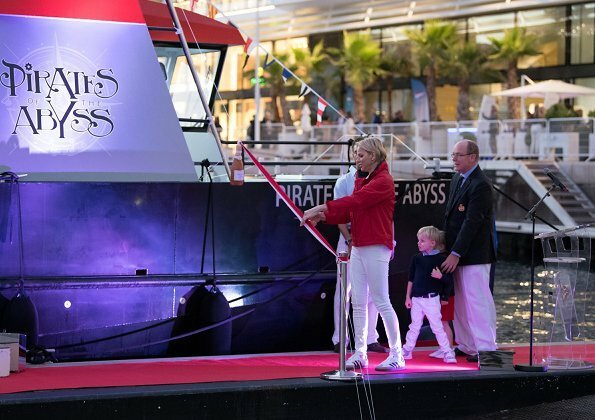 On September 26, Prince Albert of Monaco officially opened 28th edition of Monaco Yacht Show which is a 3 day event held at Port Hercules. 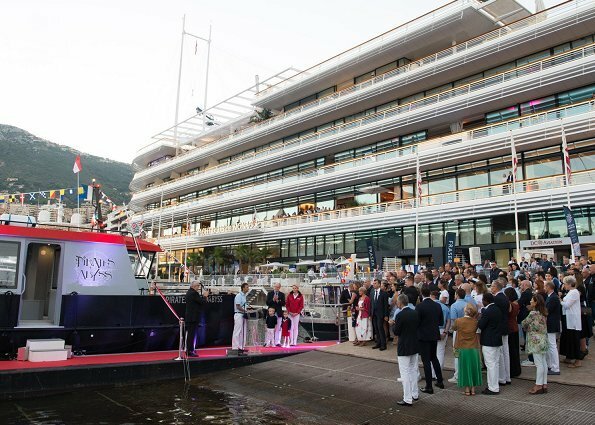 Yesterday evening, two yachts were christened and launched with a ceremony at Monaco Yacht Club. 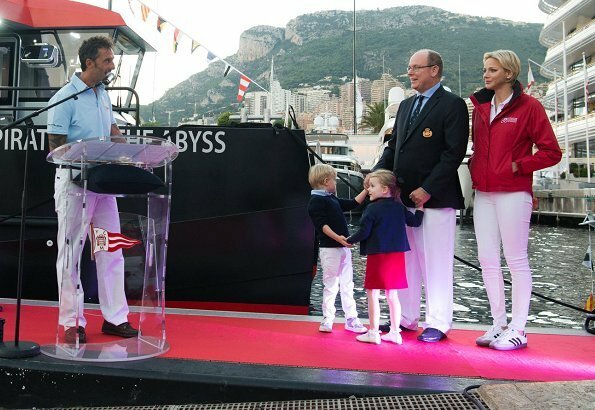 Prince Albert, Princess Charlene and their twins Prince Jacques and Princess Gabriella attended the christening ceremony of the yachts called "Pirates des Abysses" and "Le Fougasse". Les enfants sont mignons comme tout ! 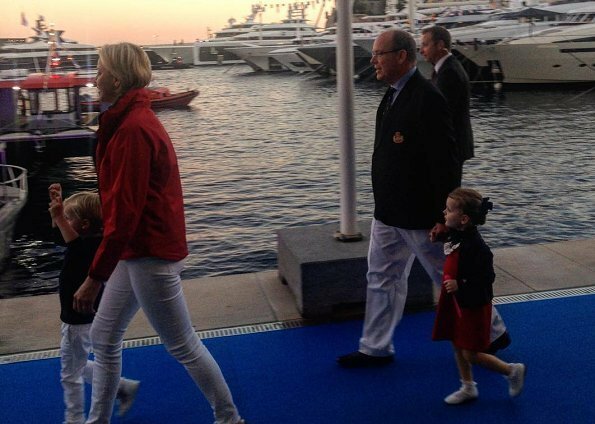 superbe famille les enfants sont vraiment bien et les parents en forme! I love Charlene's hair with a bit of length like this. wat geniet ik toch van die mensen!!! die kinderen zo leuk om te zien,en zien er schattig uit !!! Beautiful family! Love Charlene’s softer and longer hair style. 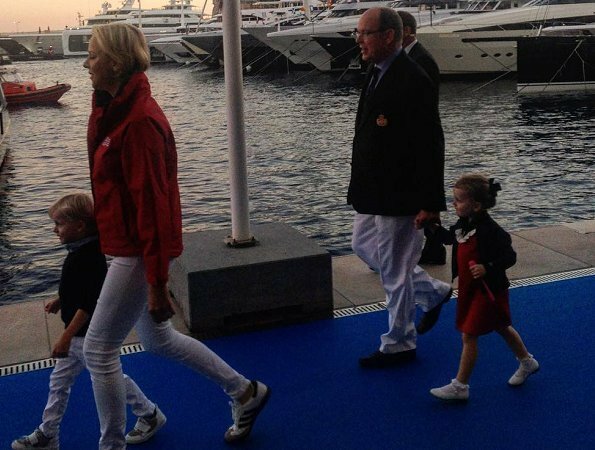 Albert looks thinner and the children are adorable. Those children are so incredibly adorable--and growing so quickly! Dressed beautifully and appropriately. The way they are being lovingly and carefully introduced to official events is brilliant. Adorable kids, way-too-snug pants (which fit like tights) on Charlene. IMO they are wrong on any lady at a public occasion. These two kids are the cutest. Work and play. Early start makes an expert for later in life. 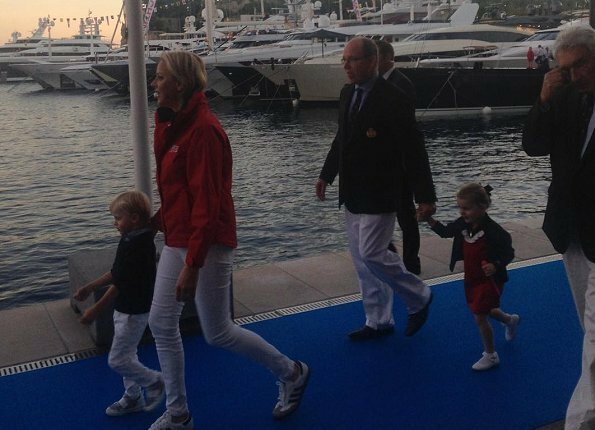 Love their little outfits, Charlene would have looked better in a regular cut pants. Nice the family is together. I agree about both comments, especially those tight pants all of the time. Yes, she looks good in them with her long, lean legs, but it is rather boring to see them so often. Why not try some with style and a beautiful cut? Cute as a button these twins - just wonderful! Like Charlene`s hair growing and her sporty esemble. Albert seems to be happy and relaxed in company of his little family. Charlene looks always her best in sport clothes, she looks very good here. Adorable kids! Little Gabriella is adorable but I don't like hair parted in the middle, not only for her but for anyone. 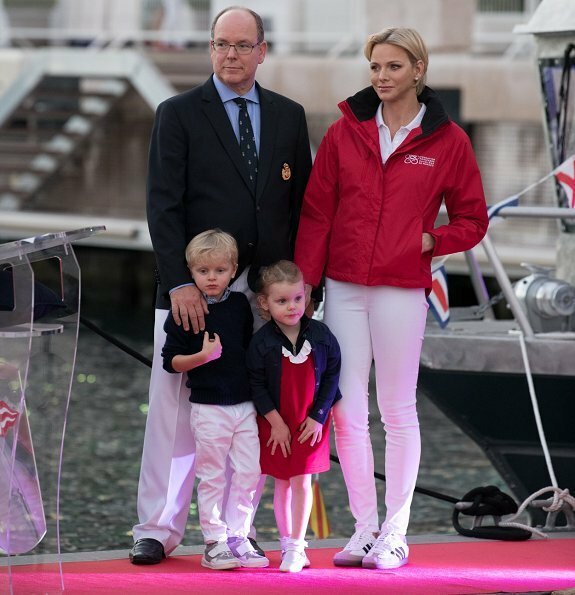 Between Charlene and Catherine (D of Cambridge) we have in full display how un-classy these ‘painted-on’ tight pants look. In particular in white (although these white ones at least don’t look cheap and unkempt like the beige-brown the other royal wore). You’d expect this from a superficial woman who has nothing else to show (like maybe brains that would suggest this isn’t appropriate unless you’re in a boudoir without any other audience). Not surprised when Melanie Trump wears them. Still surprised by these two. I know they can do much better. And they aren’t lacking in the brains department, for all I can tell. Rant aside, I admire the fact that the Grimaldis still keep the traditional colour scheme. Now all that is left is for Charlene to learn French.